Commercially produced microalgae could become a sustainable fish feed ingredient, a project from the National Food Institute, Technical University of Denmark, has shown. In the project concepts have been developed to grow, harvest, dry and store two types of algae that are rich in protein, antioxidants and omega 3 fatty acids. Traditionally fishmeal – which is an important ingredient in fish feed – has been made from industrial fish such as sprat and sand eel that are unfit for human consumption. As a result of the increasing production of fish feed for the growing aquaculture industry it is becoming both environmentally and economically unsustainable to continue this practice. The hunt for sustainable fishmeal alternatives has among other things focused on microalgae because they contain almost all the nutrients fish need. However, commercial production of microalgae through photosynthesis has until now proved to be too expensive, so new methods are needed in order for microalgae to become a cost-effective fish feed ingredient. 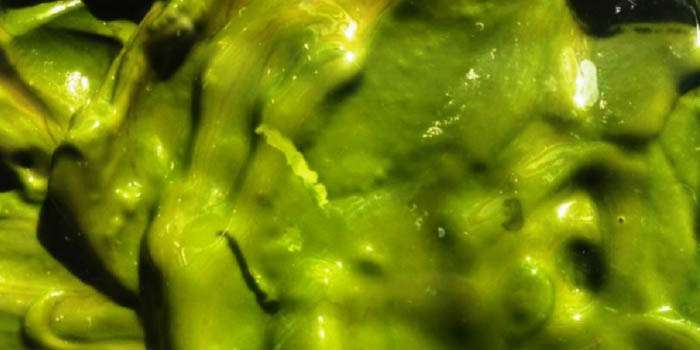 In a project at the National Food Institute, researchers have extensively screened different microalgae species and have identified two types that have a high content of protein and/or omega 3 fatty acids as well as antioxidants, which are suitable for growing under Danish conditions. They have also developed methods to harvest, dry and store the algae biomass, which ensure that valuable substances in the biomass deteriorate as little as possible. The two species (Nannochloropsis salina and Chlorella pyrenoidosa) are grown in industrial process water – a low-price growth medium rich in lots of nutrients while being free from toxic compounds. The new drying process is environmentally friendly. It uses 30% less energy than the spray drying techniques that are currently in use. In the new process, the microalgae are dried in a stream of air in a specially designed drying chamber. The drying process is far gentler on e.g. pigments and omega 3 fatty acids in the biomass than spray drying. Researchers expect to be able to modify the new drying process so it can be used on other algae species and long term also on other types of biomass. The National Food Institute has a patent pending for the technology. Even minor changes in growth conditions can lead to the growth of unwanted organisms in the algal biomass, which makes it unusable for fish feed. Therefore, it is necessary firstly to select species that are less sensitive and secondly to have systems that can quickly identify contaminating organisms in the biomass during the cultivation process. In the project a method has been developed which can trace such organisms in the biomass easier and quicker than existing methods by analyzing the composition of fatty acids and pigments. The species Chlorella pyrenoidosa contains pigments such as lutein and other carotenoids, which can e.g. be used as natural colours in food products. Extraction and sale of pigment as a separate product would make the production of microalgae for fish feed more profitable.